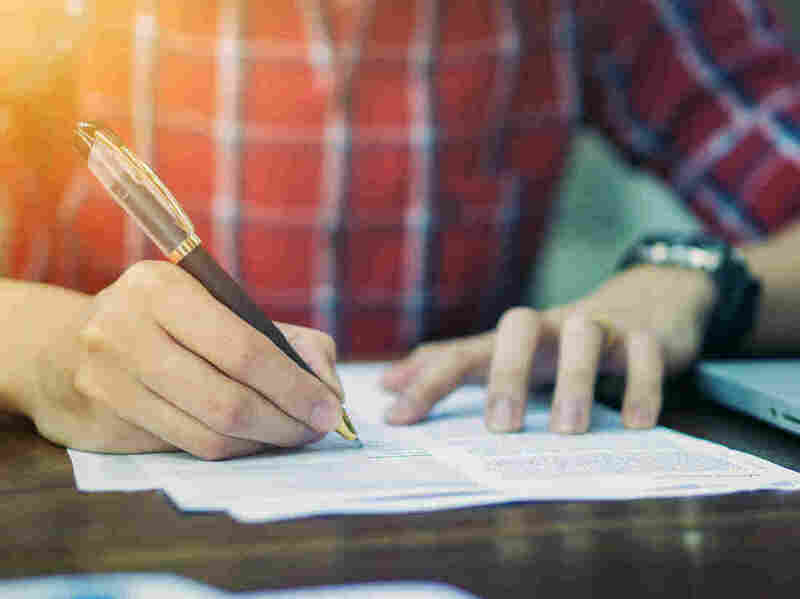 Association Health Plans: Expanded Options But Many Limitations : Shots - Health News Federal officials say loosening the regulation of association plans will give small businesses a more affordable health insurance option, but critics are wary. If you own a small business, a new rule governing association health plans could mean a more affordable health insurance option. But there are some limitations. If you own a restaurant, plumbing company or other small business, you may be intrigued by the expected expansion of association health plans under a new rule that got a stamp of approval from the Trump administration last week. Will they meet your needs? Save you money? Those are important questions for small businesses and self-employed people who struggle to buy affordable insurance for themselves and their workers. Federal officials say the new rule would help level the playing field for these businesses, giving the kind of flexibility on benefits and leverage to negotiate with providers that large companies may have. When announcing the policy on June 19, President Donald Trump said it would "result in very low prices, much more choice, much more freedom, including in many cases new opportunities to purchase health insurance. You'll be able to do this across state lines." But detractors say the plans may not provide the full protection that workers need, plus the changes likely will drive up costs in the regular individual and small-group markets, where people who need comprehensive coverage would be forced to seek insurance. And they point to "the long history of fraud and scams and insolvencies" for these plans, says Timothy Jost, professor emeritus of law at Washington and Lee University in Virginia. "I think consumers are going to be in for a pretty wild ride," Jost says. Here are some details about what association health plans could mean for you. Q: What are association health plans and what did the administration change? Association health plans (sometimes called AHPs) allow small businesses to band together to buy insurance. Some plans have been in place for years, and those plans can continue to operate after the new rule takes effect. But the Trump administration's regulation loosens the rules for additional plans to come onto the market, allowing more small businesses, including individuals who work for themselves, to join these plans. In contrast to earlier AHPs that generally required the association's members to share an economic or other common purpose beyond enrolling in health insurance, new AHP members can be connected by geography alone or by business and professional interests. And under the new rule, providing members with insurance can be the main purpose of the association health plans. Q: When will the plans be available? The new rule will be phased in starting in September. It's uncertain how soon after that date plans will be offered. Q: The ACA added some popular protections, including requiring plans to cover preventive care without charging consumers anything out-of-pocket and allowing people to keep their kids on their plan until they reach age 26. How will these provisions be handled under association health plans? Those provisions still apply to association health plans. Q: How are pre-existing medical conditions handled in the new rule? Association health plans that are established under the new rule won't be allowed to discriminate against individuals if they're sick. But that doesn't necessarily mean that people with preexisting medical conditions won't encounter roadblocks in finding affordable, comprehensive coverage. In the final rule, the administration lays out a variety of circumstances that could affect affordability. For example, an association plan could charge companies that employ construction workers higher premiums than firms that are in the hospitality business. The rule also allows plans to charge different rates based on gender, age, and location. Q: Will the plans cover a broad range of benefits? It's unclear. Association health plans are intended to make health insurance more affordable for small businesses in part by giving them the same kind of flexibility that large companies have in choosing which benefits they offer. Flexibility may have a downside, though. AHP insurers don't have to include the 10 "essential health benefits" that are required under the health law for plans in the individual and small-group market, typically companies with fewer than 50 employees. They might exclude coverage for prescription drugs or rehab services, for example. Even though they're not required to, large companies typically provide comprehensive benefits to compete for top talent. Smaller companies with fewer resources may find it tougher to afford generous employee perks. Association health plans that cover employers with at least 15 employees will have to offer maternity coverage — one of the ACA's essential health benefits — under the new rule. But smaller employers could skip that requirement. The plans have to abide by the annual maximum out-of-pocket spending limit for the essential health benefits they decide to cover, and they can't impose annual or lifetime limits on coverage of those benefits. But since plans don't have to cover all the essential health benefits, those protections aren't as meaningful, some say. "It waters down the out-of-pocket cap protection if you don't have essential health benefit coverage requirements," says Sarah Lueck, a senior policy analyst at the Center on Budget and Policy Priorities. Q: How could premiums be affected? The new rule allows health insurers to use several factors that may provide clues that people are likely to be expensive to insure, including gender, age, industry and geography, when setting rates for employers. A company with older workers who are more likely to have chronic conditions, for example, could face higher rates — as might one that employs lots of women, who might rack up charges for maternity care. In addition, individuals within a company could be charged different premiums based on their occupation or other factors not related to their health status if the employer chooses to do so, Jost says. Q: Who's likely to benefit under the rule? Companies that have relatively young, healthy employees could fare well. "For young men in certain low-risk industries, who are currently healthy, they're likely to encounter a relatively low premium," says Justin Giovannelli, an associate research professor at Georgetown University's Center on Health Insurance Reforms. The Blue Cross Blue Shield Association, when filing comments on the proposed rule, said association health plan premiums for women in their early 30s might be more than 30 percent higher than rates under regular individual and small-group rules. It also estimated that rates for young men of a similar age could be more than 40 percent lower than ACA rates. Similarly, companies in some industries could see lower premiums than others, according to BCBS. Rates for engineering companies could be about 9 percent lower than what insurers would charge on the individual and small-group market, for example, while those for the taxicab industry could be nearly 15 percent higher. Q: What if an employer offers a really skimpy plan? Are workers stuck with it? That depends. If an employer offers coverage that doesn't meet minimum standards, workers can shop for subsidized health insurance on the marketplace, and the employer may face penalties. (Companies with fewer than 50 workers are exempt from penalties, however.) In 2018, that means that single coverage can't cost workers more than 9.56 percent of their entire household income and plans have to pay at least 60 percent of the cost of covered benefits. The same rules apply if an employer offers coverage through an association health plan. Some policy experts say they're worried that people who work for small businesses may get burned if their companies, which do not offer any plans now, start offering coverage through an association health plan. The new plan may be skimpier and more expensive than the comprehensive coverage they've been getting on the ACA exchange. "Even though the AHP coverage might be skimpy, employees would no longer be eligible for subsidized coverage on the exchange," says Katie Keith, a health policy consultant who writes frequently about health law.